Join a cleantech startup team building a great company while making a positive difference in our world. We’re committed to continuous learning as we innovate ever better ways to make Indow window inserts more accessible to customers. If you love creative collaboration and disciplined execution, we hope you’ll apply. Our work is challenging, but we believe in each other and promote from within. Some in our senior executive team started in entry-level positions and grew to take on greater responsibility. There’s no place like our startup culture to learn new skills and make a huge impact on the company’s future. Each day, you’ll feel satisfaction knowing your work is resulting in dramatically lower carbon emissions while helping people enjoy quiet, comfort and lower energy bills. Hint: Check out our company values. They really matter to us! 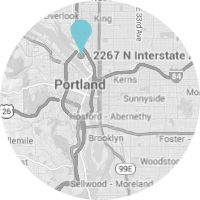 Below are the jobs we currently have available in awesome Portland, Oregon. We are looking for someone who will help Indow thrive by assisting the Finance team with a variety of tasks. Your goal will be to help Indow maximize efficiency and customer happiness by improving the speed and accuracy of our financial close, including financial reporting. We are looking for a friendly, outgoing, detail-oriented and computer savvy customer support specialist who shares our passion for the environment and for the growth and success of the company. Indow is looking for Production Team Members to join our ambitious and growing organization. We are seeking experienced, detail oriented candidates who are eager to learn and work in a collaborative environment to meet production goals, adhering to strict quality guidelines. Team members will be cross-trained in multiple facets of the production process and will be expected to train others.